Entertain your important clients and guests with our fantastic Everton v Liverpool hospitality package. This prestigious game between these two Premier League behemoths is always one of the highlights of the season. The Merseyside Derby is notorious throughout Europe for its highly competitive and aggressive nature. Each monumental occasion promises a plethora of goals, gaffs and mouthwatering drama, and this year will certainly be no different. Everton will hope to take all 3 points from their biggest rivals. We are delighted to be able to offer VIP Everton hospitality packages at Goodison Park for the 2018/19 season. Under the watchful eye of Marco Silva, The Toffee’s have certainly become a force to be reckoned with, maintaining a resilient back line and an attractive brand of fast-paced, attacking football. Enhance your matchday with our 1878 Brasserie and People’s Club packages. Whether utilising Everton hospitality for business or pleasure you can be sure to make your day memorable for you and your guests. The People’s Club is a fantastic hospitality option at Goodison Park which can be enjoyed by all of the family. 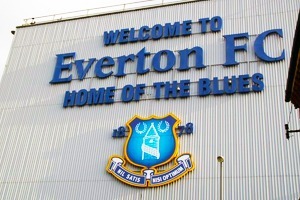 It is a favourite among loyal and long-term Everton fans, taking its name from the very heart of the Club’s ethos. The Peoples Club offers great value for money offering with excellent food and seating. Your package will include a one-course meal and access to a bar exclusive to the Peoples Club. In addition to that your executive seats will be positioned behind the goal (Park End stand) with unobstructed views to ensure you do not miss any of the action.